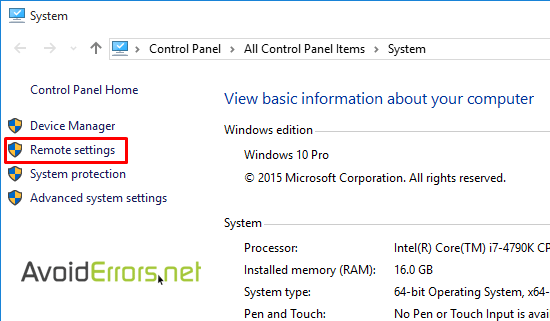 Remote Desktop in windows 10 is not enabled by default. You must specifically enable it to allow remote access. This process applies for Windows 10 Pro. 1. 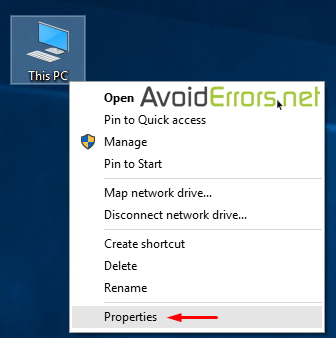 Right click This PC -> Properties. 2. Select Remote settings on the left pane. 3. 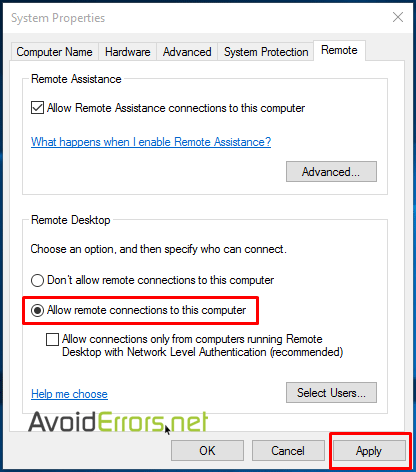 In the Remote tab, under Remote Desktop, check mark “Allow remote connections to this computer” by default the system admin is enabled for remote desktop. 4. 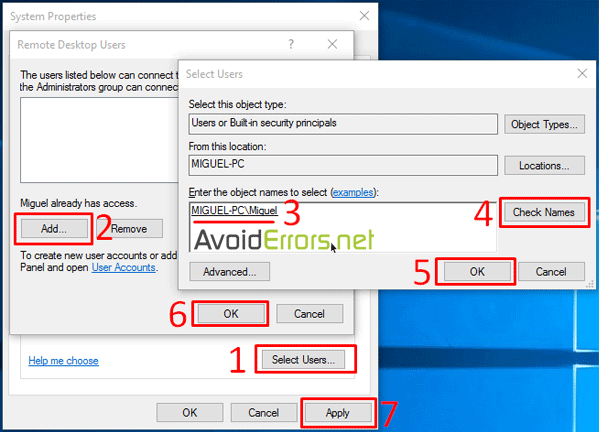 If you need to add a remote user other than the admin, you would need to create a new user, make sure the user has a password. Click on Select Users… button, Add, enter the name of the user, click on Check Names to make sure you have properly selected the User, then OK and Apply.